The 4play+ is a complete redesign of our original 4 channel controller. We added amplified CD quality sound, more memory, and a full color LCD display. 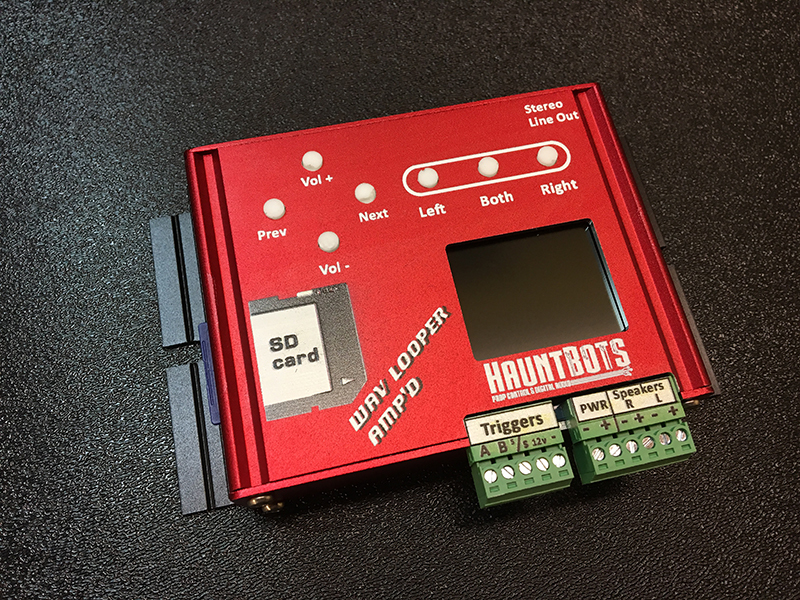 The result is a super easy to program, yet incredibly powerful prop controller. What type of application is the 4Play+ designed for? The 4Play+ allows you to control props or scenes requiring up to 4 digital outputs where amplified sound is required. There is 1 trigger input and 4 solid state outputs. 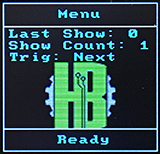 The trigger can be configured to start the next or previous show, or start a specific show. This optically isolated input will work with a variety of switches, sensors or contact closures. The digital outputs utilize individual drivers for each channel. These drivers can supply up to 1 amp of current to each output. This is enough to run items such as relays, solenoid valves, or LEDs directly. The 4Play+ is programmed using 5 built in buttons. A full color LCD display guides you through the process. 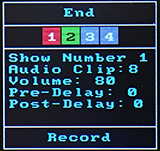 Pressing the buttons allows you to create your show in real-time and see it live while it happens. Through the built in menus, you can choose to create up to 9 different show sequences -each of these shows can have a unique sound track. 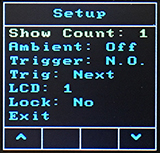 You can enable a 10th ambient show that will loop continuously between triggers. The ambient show can have a sound track too. You can also choose a normally open, or normally closed trigger input. 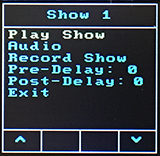 Additional features like pre and post show delays are available for every show through the menu. The 4Play+ can hold nearly 10 minutes of high quality MP3 sounds files. Although capable of playing WAV files, we recommend using MP3s to maximize storage capacity. This sound is then played through the internal 40 Watt mono amplifier. There is also a stereo line out jack if you want to add an external amp. An assortment of sound effects are preloaded on the controller when it ships, so you can hook up a power supply and literally use it right of the box. A standard USB jack is provided on the front of the controller to download your own sound files. 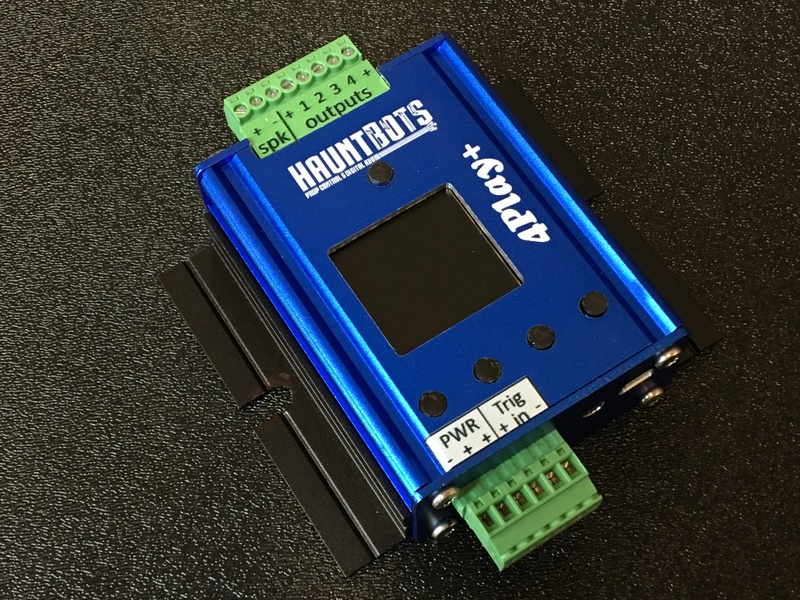 HauntBots builds the most rugged controllers available. 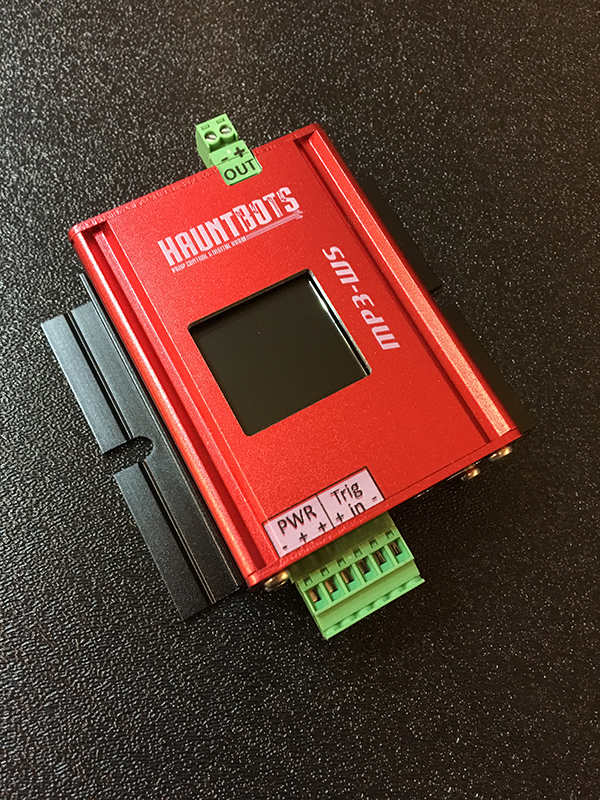 Our extruded aluminum enclosure is literally strong enough to drive a car over. And, the entire circuit board is protected inside that enclosure. 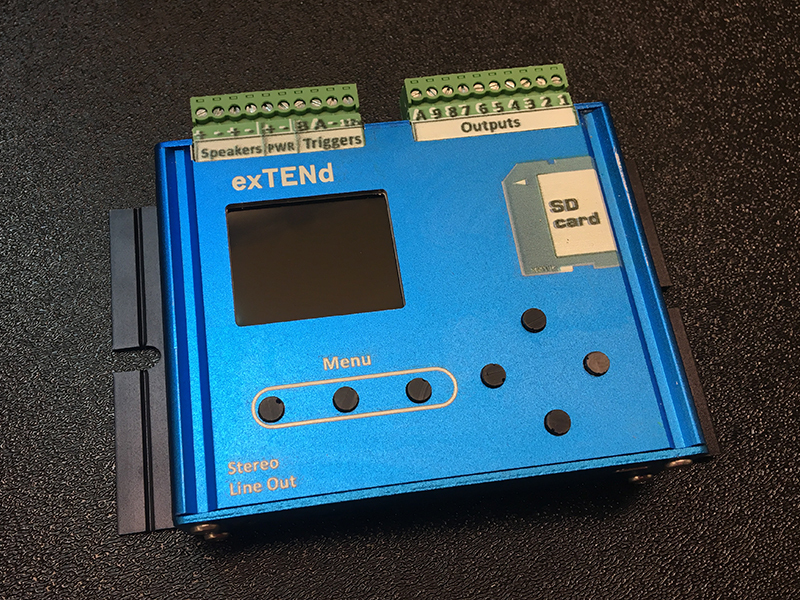 The only things that stick out of the enclosure are buttons and connectors. 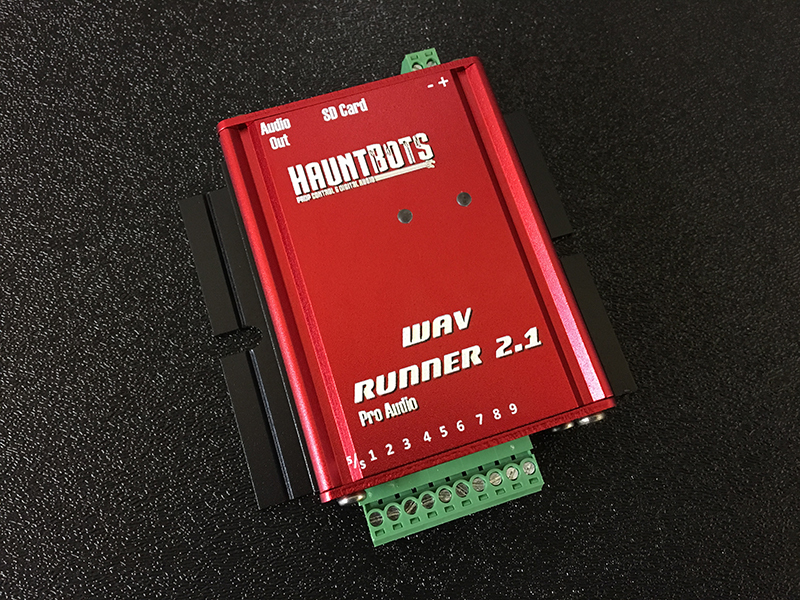 The 4Play+ uses the same plug in style connectors as our other HauntBots products. In the unlikely event of a failure, just pull the plugs and drop in a replacement. The USB port that is used for downloading your own sound files can also be used to read/write show files between the controller and a computer- or to update the firmware. For prop manufacturers, this means creating the show once and then just downloading it to subsequent props.